Tickets in advance are Adults $20. / St. & Sr. $15. / Children $10. (Tix will be $25 and $20 at the door). 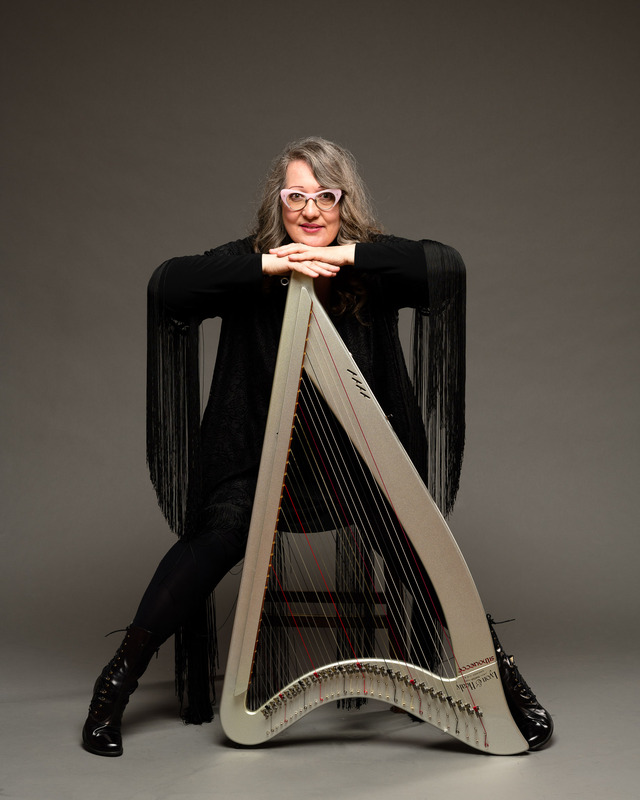 Winner of the Lyon & Healy International Pop & Jazz Lever Harp Competition (USA) and the Dinan Concours d’Improvisation de Rencontres International de Harp Celtique (Brittany), she has given concerts and workshops across Canada, the United States, France and Italy. Sharlene tours with bass player George Koller, the Winter’s Eve Trio (with George Koller, bass and Joseph Macerollo, accordion), The Soaring Harp Trio (with harpists Lori Gemmell and Julia Seager-Scott) and the Christmas trio Harp & Holly (with Sandra Swannell, vocals, fiddle and viola and Terry Young, vocals and finger-style guitar, Rob Ritchie, piano, vocals). She is also a member of Iona Passage with Anne Lindsay (fiddle) and Eric Robertson (piano). Sharlene’s seven CDs express journeys of rhythm, spaciousness, the Canadian landscape, Celtic, Classical, South American and original music. 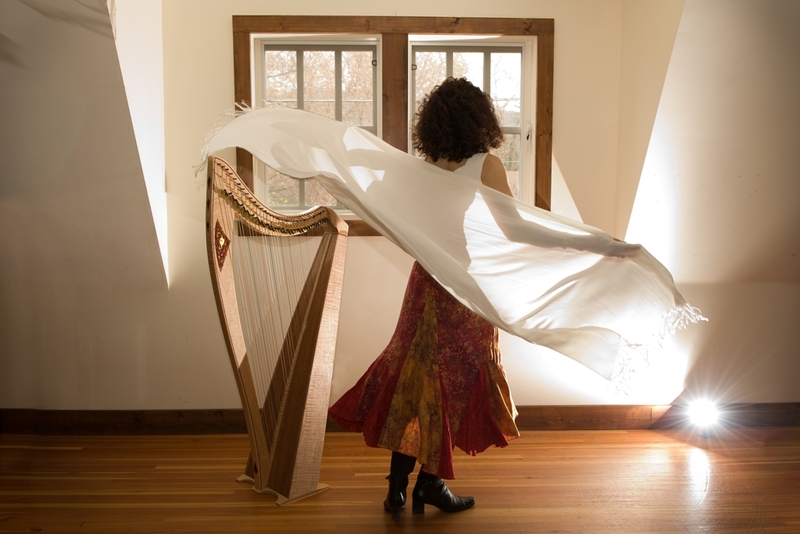 Sharlene’s most recent CD, In Night’s Deep Silence, is a spacious, tranquil album for harp and bass (George Koller). We are delighted to have Sharlene return to the Okanagan for an unforgettable evening performance! 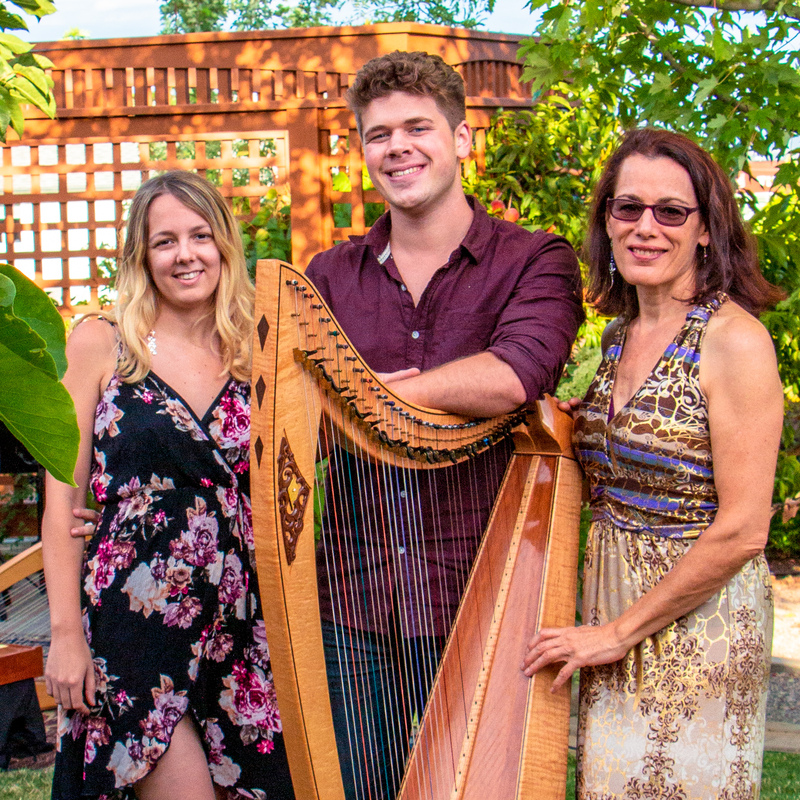 She will be joined by the Spellbound Harp Trio, Caroline Mackay, Aaron Ord and Amy Aiken. 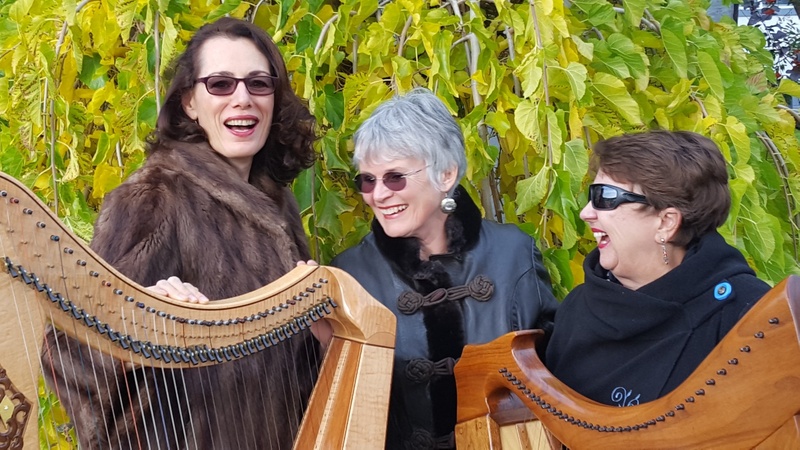 A Trio of Harps and Harmonies, opening voices to the season of frost and fire. An evening of heavy Celtic ethereal with a touch of jazz! Come and Join Caroline, Kate and Debi for our 15th season of song! 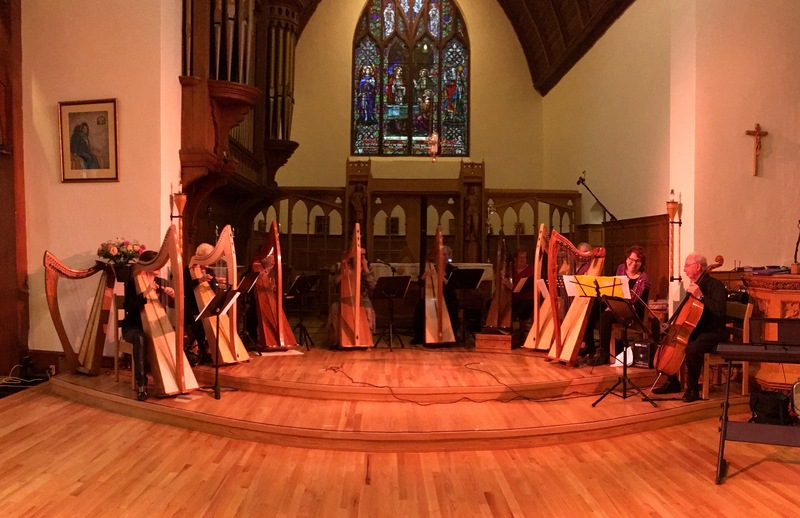 8 Glorious Celtic Harps and Cello! Tickets: Adult: $20. / Sr and St $15. / Children $10. 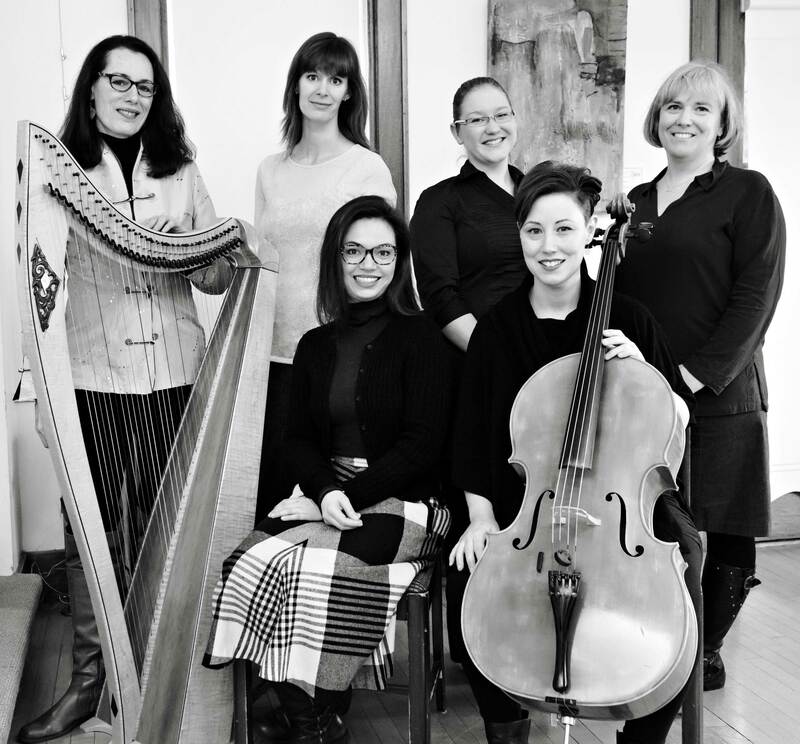 9 Harps & Cello in CONCERT! Plenty of upbeat rhythms, plenty of Celtic favourites and gorgeous vocal harmonies! 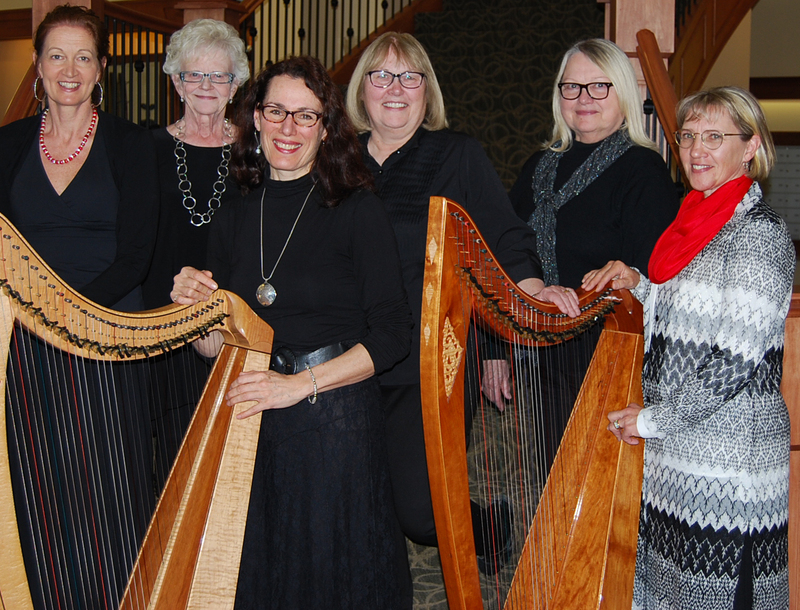 HIGH SPIRITS MUSIC 19TH ANNUAL HARP WORKSHOP! IN WEST KELOWNA, on Friday, May 4, and Saturday May 5. Includes one and a half day workshop, lunch and snacks, and a concert evening. Details on the poster here. Sharlene is one of our all-time favourites, having brought us her essential style and techniques over many workshops and retreats. She will focus on producing beautiful tone; a “driven-but-relaxed-but-effective” 15 minute warmup to establish your daily practice routine; an ensemble piece for you and your friends; how to approach the harp for spacious arrangements; and her most tasty Latin and Celtic pieces of the year. Please see our HARP SCHOOL Page for the brochure and to REGISTER. Spellbinding images of Winter, and joyful rhythms of summer….to look forward to! Tickets include DINNER! and are $30. “GRATITUDE CONCERT”: WITH 12 HARPS AND CELLO!! Friday, October 20, 2017 at 7:00 pm. Doors open at 6:30pm. Prince George Conservatory of Music, 3555- 5th Ave. This class will nurture an excellent relaxed technique, which will stay with you throughout your harp life. Students develop focus, strength and independence between hands and fingers, all the while listening for a beautiful tone. We will breeze through some glorious Celtic melodies, add dynamic rhythm to a lively Latin piece and delight in a Classical favourite. Saturday, February 27, 2016. St Saviour’s Church in Penticton. 7:30 pm.